​Roy Hodgson has confirmed Crystal Palace defender James Tomkins will miss the rest of the season with the groin problem he picked up during their win at Newcastle. The centre back hobbled off during the 1-0 triumph at St. James' Park, where Luka Milivojevic scored an 81st minute penalty to seal all three points for the visitors. Speaking after the game, former England boss Hodgson revealed Tomkins would have a scan on the injury but admitted the problem didn't look good. Now, previewing his side's home clash with ​Manchester City on Sunday, Hodgson has confirmed he will be without the former West Ham defender for the rest of the season, also stating that Mamadou Sakho will be absent at the weekend. 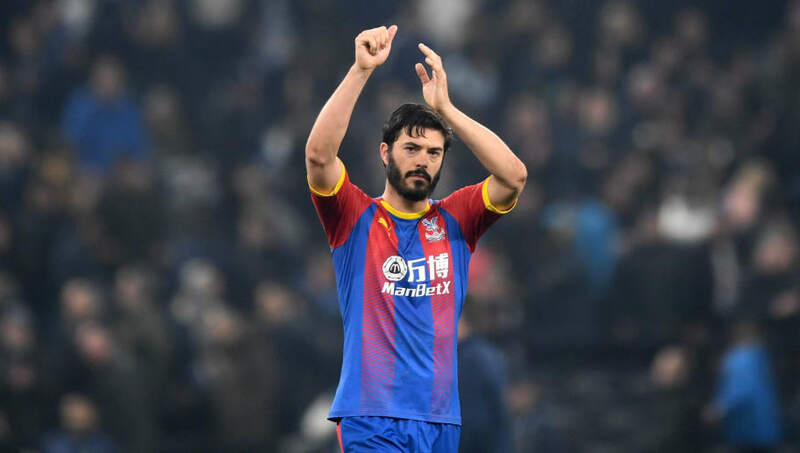 He said, as quoted by Palace's ​website: "We lost James Tomkins in the game against Newcastle [United], he has been operated on, so he will miss the remainder of the season which is a major blow, coming on top of ​Mamadou Sakho's injury five or six games ago. RH: We lost James Tomkins at Newcastle who will now miss the rest of the season which is a major blow. We are still without Mamadou Sakho too. The news is a blow for ​Palace, who have look improved defensively with Tomkins at the back. Dann and Kelly are now expected to feature in Tomkins and Sakho's absence, with Dann only featuring in six Premier League games this season due to his own injury issues. Three wins in their last six games have helped Palace move clear of the drop zone, with the Croydon outfit now 11 points ahead of Cardiff, who occupy the third relegation spot. After Sunday's clash with City, Palace face ​Arsenal at the Emirates before rounding off the campaign with games against Everton, Cardiff and Bournemouth.